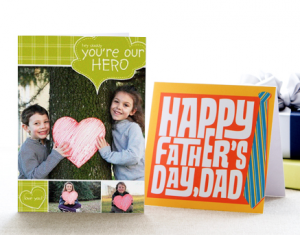 There is a new code from Tiny Prints for Father’s Day Cards. You can score custom photo cards for only $0.99 Plus choose to ship to yourself and you get Free Shipping. Or ship direct to the recipient for only the price of the stamp. These are some of the nicest cards at there and you can’t beat the price.